January 9, 2015 is a day that changed Pahrump resident Peter Giordano’s life forever. It was the day that Giordano’s wife of more than 55 years, Anne, passed away. As a result of his loss Giordano stayed with his daughter, who suggested he seek grief counseling. He noted the group helped him to recover from his loss and move on without his wife. Giordano said each member of the GriefShare support group has lost a loved one. He noted the meetings consist of three different components. Additionally, Giordano said GriefShare has a special session during the holidays each year. “Just before Thanksgiving and Christmas, we have a session that’s called ‘Surviving the Holidays,’” he said. Giordano also said GriefShare has actually changed the way he feels about the holidays. 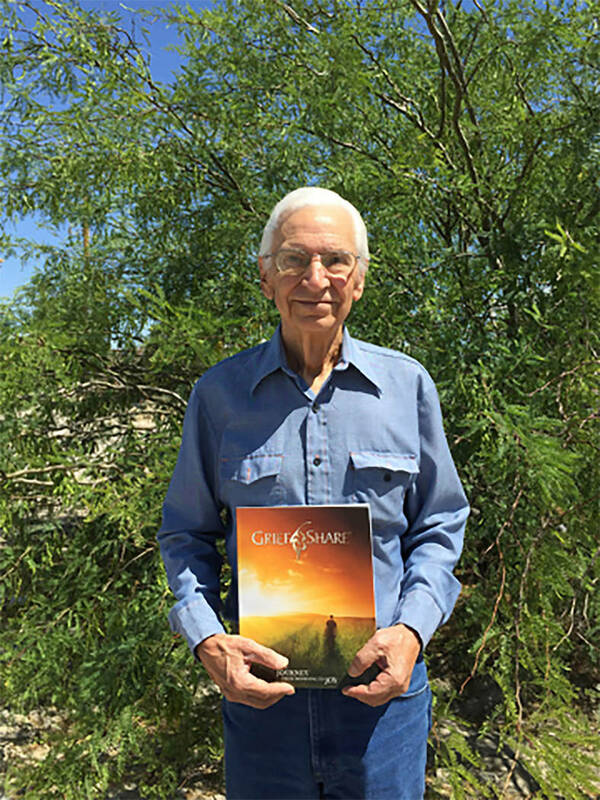 Giordano noted that GriefShare has existed for more than a dozen years worldwide. He said he was shocked to learn that Pahrump did not have a chapter. Giordano did mention there are a few rules to adhere to during the series of GriefShare meetings. Following the series of GriefShare meetings, Giordano said a special event is held. The Giordano’s also lost their 20-year-old son back in 1985. For additional information call Giordano at 775 209-2535.